Follow these steps to get your Skullcandy headphones or speaker connected to Bluetooth. This will work with most Skullcandy wireless headphones (Venue Noise Canceling Wireless, Crusher 360 Ultra-Realistic Audio, Riff Wireless, Icon Wireless, Crusher Wireless, Hesh 3 Wireless, Hesh 2 Wireless, and Grind Wireless), Skullcandy earbuds (Push Truly Wireless Earbuds, Method Wireless Sport Earbud, Smokin' Buds 2 Wireless, XTfree BT Sport, Ink'd Wireless, and Jib Wireless), and Skullcandy wireless speakers (Barricade XL BT, Barricade BT, Barricade Mini, Air Raid, Ambush, and Soundmine). Most Skullcandy headphones and earbuds typically share the same button for Power On/Off and Bluetooth pairing. Skullcandy wireless speakers may or may not have separate Power and Bluetooth Pairing buttons, depending on the model. Press and hold the pairing button for 4-5 seconds (varies by device) until you see the LED light start flashing — this indicates the headphones are now in pairing mode. Android. Go to Settings and turn on Bluetooth. In Bluetooth click “Pair new device”. When you see your Skullcandy device come up in the list, tap it and it should be paired with your phone. iPhone. Go to Settings and then Bluetooth. Turn on Bluetooth. Look for your Skullcandy device under “OTHER DEVICES” and tap on it to connect. MacOS. On your Mac, choose Apple menu > System Preferences, then click Bluetooth. 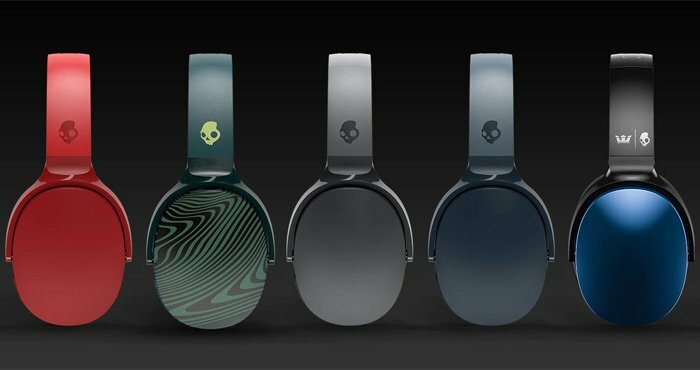 Select your Skullcandy device from the list, then click Connect. If asked, click Accept. When the Add a device window comes up, click “Bluetooth”. Look for your Skullcandy device in the list and tap on it to connect. Alternatively, search for “Bluetooth” in your Windows search box. When the Bluetooth & other devices window comes up, make sure Bluetooth is on then click “Add Bluetooth or other device” and select your device from the list. When you have successfully paired your Skullcandy headphones or speaker to your phone or laptop, the LED on your JBL device will stop blinking and you should hear an audio confirmation that your device is paired (either a tone or voice confirmation). If you have followed the steps above and your device still isn’t pairing, try resetting your Skullcandy headphones or speaker. For headphones, press the volume up and down buttons at the same time and hold until you hear two short beeps (about 4 seconds). For speakers, hold the center pairing button and the volume up button until you hear two short beeps. This will clear out any old Bluetooth connections and allow to start the pairing process fresh, again. If that doesn't fix your Skullcandy connection problem, try our more detailed guide for fixing Bluetooth pairing problems. And if you're ready to grab a ew set of headphones, take a look at our picks for the best Bluetooth headphones under $50. How do I pair JIB Wireless earbuds to my laptop?